The burger was served open and at first it wasn’t really much to look at. The egg looked good, but the spoonful of guacamole was slightly off-putting, but that was pretty easy to get over once you get a look at the burger and the amount of bacon that the pile on. I threw the top of the bun on and it was time to dive in. 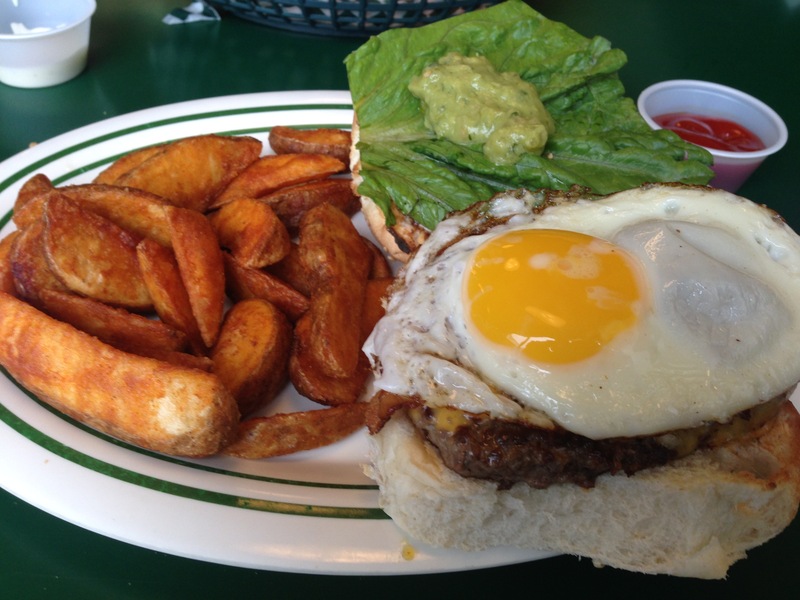 I knew instantly that the combination of the runny egg yolk and the guacamole was going to make this a messy burger, and I was right on (I’m talking two napkins messy!). However, mess aside, I was instantly a fan of this burger. The egg, bacon, guac combo made for a pretty tasty time. The actual burger patty itself was delicious, and it’s easy to see why Darrell’s is known for their burgers. Also, you can choose either fries, salad, or ‘Darrell fries’ for your side. I went with the Darrell fries, and I would definitely recommend them. We got here right at peak dinner time and the place was pretty busy. We lucked out and were able to get a booth immediately. There were many people from differing age groups, including a few different families with younger children. Luckily, this place has both an upstairs and downstairs, so no one had to wait very long for a table. We got our food very quickly, and the staff was extremely friendly. My one complaint, which is very minor, is that our waitress decided to sit down at a table for about 5 minutes to chat with a friend of hers. I’m all for the friendly nature of the staff, and I personally didn’t have a problem with it, but I could see how other people could be bothered by it, given how busy it was at this time. This burger had a price tag of $12.39, and I think that is a fair price considering what you get. 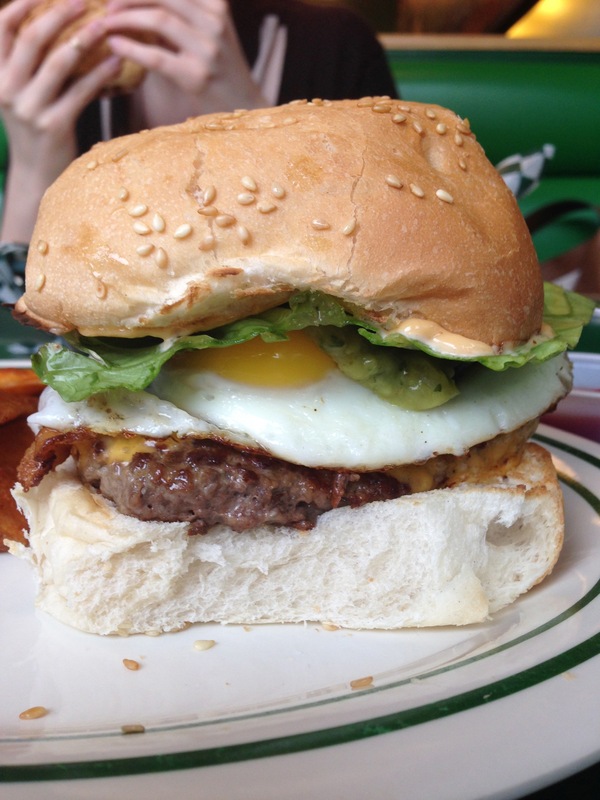 A 6oz burger loaded with bacon, egg, guacamole, and cheese is definitely worth it. 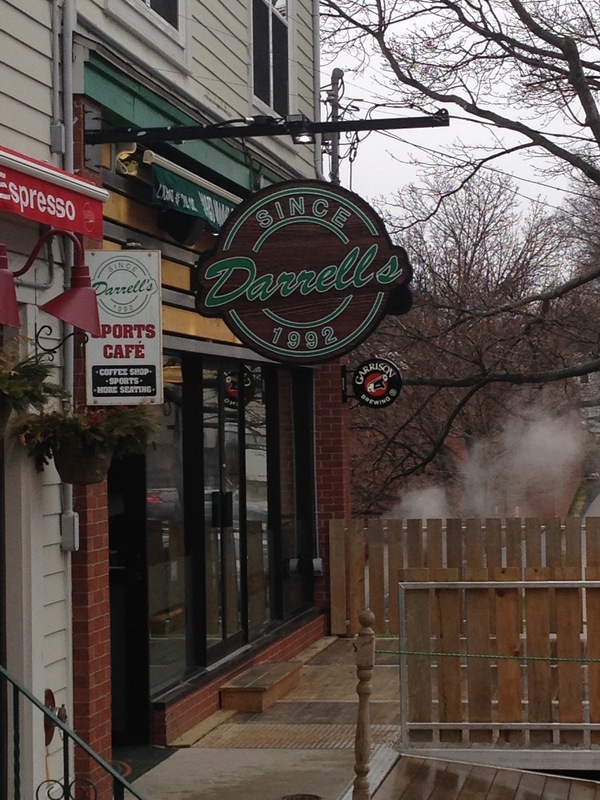 This is one great thing about Darrell’s. The food is fairly cheap and you get a delicious, filling meal, so it’s attractive to both students and families alike. I would definitely recommend this burger. Whether you are looking for breakfast that’s a little more suited for dinner, or you’re looking to get rid of a nasty hangover, this burger is worth your time.